When we remember the birth control movement, we must commemorate the extraordinary women who willingly risked so much for the advancement of such a controversial movement. For these activists, giving all women new access and opportunities to contraceptives meant more than their own potential individual advancements. Dr. Hannah Mayer Stone embodied this type of dedication. 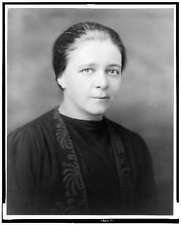 Chosen by Margaret Sanger in 1925 to be the head physician of the Clinical Research Bureau, Dr. Hannah Stone would prove to be dedicated not just to the cause, but also to the over 100,000 patients she saw during her time at the clinic. While she defied the norm with her passionate involvement with the movement, Dr. Hannah Stone surpassed traditional 20th century women’s roles all her life. Born in New York City in 1893 as the daughter of a pharmacist, she went on to receive a degree in pharmacy from Brooklyn College in 1912. Following this, she attended New York Medical school, receiving her MD in 1920. In 1921, she attended the first American Birth Control Conference, where she met Margaret Sanger. Sanger opened the Clinical Research Bureau in 1923, and two years later she needed a new physician.Dr. Stone was already a member of the medical advisory board for the Clinical Research Bureau when Margaret Sanger offered her the position of physician. As she had this prior involvement, her interest in the birth control movement was known. Dr. Hannah Stone would work at the Clinical Research Bureau, which was later renamed Birth Control Clinical Research Bureau in 1928, for 16 years without receiving compensation. The main purpose behind the establishment of the Clinical Research Bureau was to do more than just administer birth control to patients; it was to also prove the effectiveness of different types of contraceptives through detailed record keeping. Dr. Stone handled both tasks methodically. By the end of her time at the clinic in 1941, she had helped over 100,000 patients and she had maintained a record for each one. But aside from just being thorough, Dr. Stone was compassionate and understanding with her patients. Her demeanor led her become known as the “Madonna of the Clinic.” In her writing, Sanger expressed her adoration of Dr. Stone. She commented on her attributes, listing “her infinite patience, her attention to details, her understanding of human frailties, her sympathy, her gentleness” as reasons that she was invaluable to the work of the clinic. Dr. Stone understood the value of her work at the clinic, not just in her interactions with patients, but also with her responsibility of compiling data about her patients. During her 16 years of service to the Birth Control Clinical Research Bureau, Dr. Hannah Stone was able to leave a profound impact. Her detailed records helped the movement discover that the most effective method of birth control was the diaphragm used with spermicide. She later published some of her findings in “Therapeutic Contraceptives.” This article was one of the first involving birth control to be published within a medical journal. Her passion for helping women extended past the realm of birth control. Dr. Stone and her husband, Dr. Abraham Stone counseled couples with relationship and sexual problems from within the clinic as well. This began casually, but it developed into the more formal Marriage Consultation Center which was ran out of the clinic and a community church. Through this work Dr. Stone again acted as a trailblazer, as these marriage counseling sessions had not been done in this manner before. 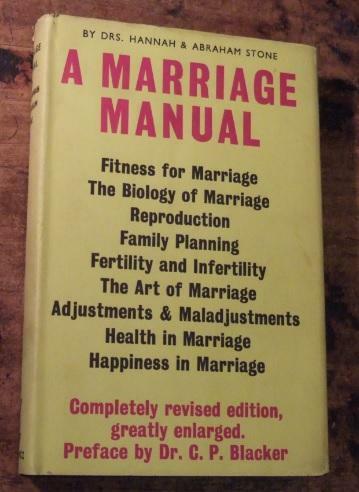 In 1935, Dr. Stone and her husband were able to publish their counseling techniques in a book entitled A Marriage Manual. Dr. Stone’s association with birth control often caused her to put the movement’s progression ahead of her own career, as her work at the clinic cost her many opportunities. She had been working at the Women’s Lying-In Hospital when she first started to work for Margaret Sanger at the Research Bureau Clinic. Her new work at the clinic caused a conflict with her the Women’s Hospital and they asked her to give up her newly acquired position. She refused this request, and as a result she was asked to resign from the Women’s Lying-In Hospital. This would only be the first of many times where her work at the clinic would prove to be a detriment to her career. Later, in 1929, Dr. Stone was arrested with four others when the Research Bureau Clinic was raided. Although the charges that were brought against her were later dismissed, the picture that was taken of her in handcuffs permanently damaged her record. Dr. Stone felt the full impact of this when she applied to admission to the New York Medical Society in 1932, and her application was tabled. She continued to take risks for the movement, including her involvement with the test case US v. One Package, when a package of Japanese pessaries were shipped to her and later seized. 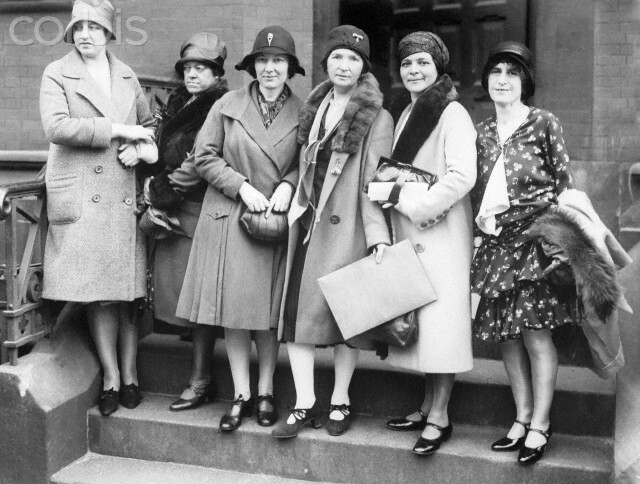 This case ended up being monumental, as it was the first step in legalized birth control. Despite her involvement with the birth control movement, and the clinic itself proving to be a detriment to the furthering of her medical career, Dr. Stone’s dedication to the cause never faltered. Dr. Hannah Stone died suddenly of a heart attack in 1942 at the age of 48. Her loss was deeply felt at the clinic, as she had dedicated so much of her time to assisting the patients. She was replaced by her husband, who carried on her legacy and dedication to the cause. Dr. Stone is remembered for her kindness, and her groundbreaking work. She was well respected for her tremendous knowledge on administering effective contraceptives. Thousands of medical students and doctors alike came to the Research Bureau Clinic to learn her methods. Even though Dr. Stone was recognized for her greatness, Margaret Sanger wrote extensively on her humility. She did not crave attention or recognition, and often others took responsibility for her advancements. As a doctor, Hannah Stone was a trailblazer. As a woman, she exceeded the expectations society had for her at the time. But it is her selflessness that is most inspiring. Dr. Hannah Stone dedicated nearly her entire career to serving women and the birth control movement, and despite her vast achievements she never sought recognition for them. Throughout the history of the United States, the judicial system has been used as a mechanism for social change. Consider some of the most monumental decisions, from Brown v. the Board of Education to the more recent case of Obergefell v. Hodges. The decisions of these two cases reflected the evolving opinions among the American people, and enabled society to implement the necessary changes. In times when the situation requires a quick solution, the court room provides a benefit over legislation, as it takes less time to reach and implement a decision, then it does to pass new legislation. Therefore, when Margaret Sanger was faced with the restriction of censorship that was the by-product of obscenity laws, she sought a situation that would allow her to speedily remedy the situation. She believed that the repeal of the Comstock laws would allow the birth control movement to continue on past the problem of censorship, and towards legalization. Thus led to the filing her test case, U.S. v. One Package of Japanese Pessaries. by customs, giving her a situation on which she could build her test case. According to Section 305 of Title III of Revenue Act, Dr. Stone did not have the right to import contraceptives. This test case was well thought out, as Sanger had spent time with her attorney, Morris Ernst, planning for this opportunity. They wanted to challenge the federal law’s ability to inhibit doctors from prescribing their patients contraceptives. The presiding judge on the case, Grover C. Moskowitz, heard the case on December 10th, 1935. As there were in facts in question, the case was based on his judicial interpretation of the law. On January 6th, 1939, Judge Moskowitz ruled in the favor of the women’s rights activists. He dismissed the libel charges within the case, and stated that the pessaries that had been confiscated did not come within the scope of the Comstock Laws, as they were intended for a lawful purpose, which was to “cure and prevent disease.” Later, when the case went in front of the U.S. Court of Appeals, Judge Augustus Hand upheld the decision made by Judge Moskowitz. According to Hand, the language used within the Comstock Laws was uncompromising; however it would be legal for contraceptives to be imported into the United States so long as they were being administered by a health professional for reasons pertaining to the patient’s health. Judge Hand believed that had 19th century Congress been familiar with the data discussing the dangers of multiple pregnancies, they would not have implemented such strict censorship laws on birth control. This 1939 decision is often accredited to being the first step in giving women full legal access to birth control. Yet we could not have come even this far without the dedication, spirit and the willingness of Margaret Sanger to dedicate her life to make certain that all women would have access to effective and readily available contraceptive knowledge and tools. She knew the extent of the struggle and understood that success would be achieved quickly or easily. But she was guided by determination. “We must unite in the task of creating an instrument of steel, strong but supple,” she wrote, “if we are to triumph finally in the war for human emancipation.” (Pivot of Civilization, 1922). The first issue of Sanger’s The Women Rebel. As one of the loudest voices in the early Birth Control Movement and the founder of what is now Planned Parenthood, Margaret Sanger was arguably one of the 20th century’s most influential champions of women’s rights. Thus, it may come as a surprise to people that she had several issues with the woman’s suffrage movement. Looking at some of Sanger’s earlier publications, one can see why Sanger and other early birth control advocates did not always see eye to eye with the Women’s Suffrage Party. But what about the women who are liable to be just as dirty, smelly and sweaty as their working brothers? Are they, too, to be removed? Dirt is dirt, smell is smell, and sweat is sweat, no matter on whom these unfortunate afflictions happen to be. And if the chairman and her class object to the smell of the workingman, so will they object to the smell of the working woman. There is but one way to avert the danger. Cut off the vote of the slums and give it to women. 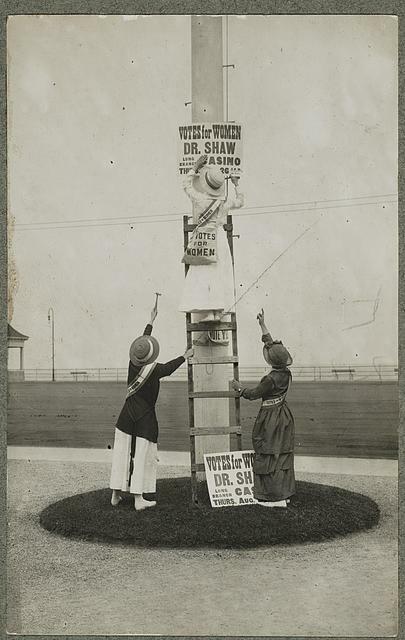 The women’s suffrage campaign in New Jersey, taken from the Library of Congress. Poor, black, and immigrant women were consequently alienated from the suffrage movement. Also, unlike many of the wealthy women in the suffrage movement, working class women had more immediate concerns, such as fair wages and access to birth control. In fact, with the extent to which the working class was plagued by infant and maternal mortality rates, access to birth control became a question of life or death. Even when women and children survived childbirth, the problems did not subside. Many working class families had no choice but to send their children to work, exposing them to hazardous conditions and long hours. Both physically and mentally the children of the rich are developed to the highest degree. Schools, colleges, universities are built for them. The children of the working class are developed only that profits may be wrung from them as early in life or as soon as the masters dare to. Thus, birth control provided working class women with agency over their own bodies within a sexual context, as well as within a system that exploited their labor and the labor of their children. For working class women, gaining that level of agency took precedence over the political freedom that came with voting. Margaret Sanger understood that the stakes were high for these women and she was committed to fighting for them. Ultimately, the Women’s Suffrage Party’s lack of an intersectional approach prevented them from understanding the dirt, smell, and sweat of working class women. Margaret Sanger, “Amusement,” Apr 1914. Margaret Sanger, “Dirt, Smell and Sweat,” 24 Dec 1911. 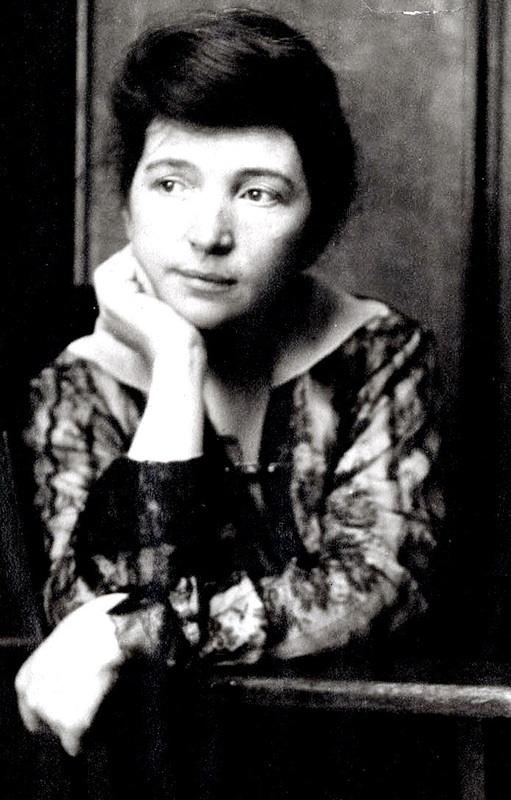 Margaret Sanger, “Into the Valley of Death–For What?,” Apr 1914. William H. Chafe, William Henry Chafe, The Paradox of Change: American Women in the 20th Century, 1992.